At an oil refinery in the state of Delaware, EISCO recently completed a chemical circulation project where we chemically circulated through 12” crude oil pipelines. The client wanted the crude lines cleaned in order to repurpose them to be ethanol lines. EISCO provided cleaning and pipe pigging services for the cleaning of the rail system. There was 2118’ foot of crude oil unloading line piping. 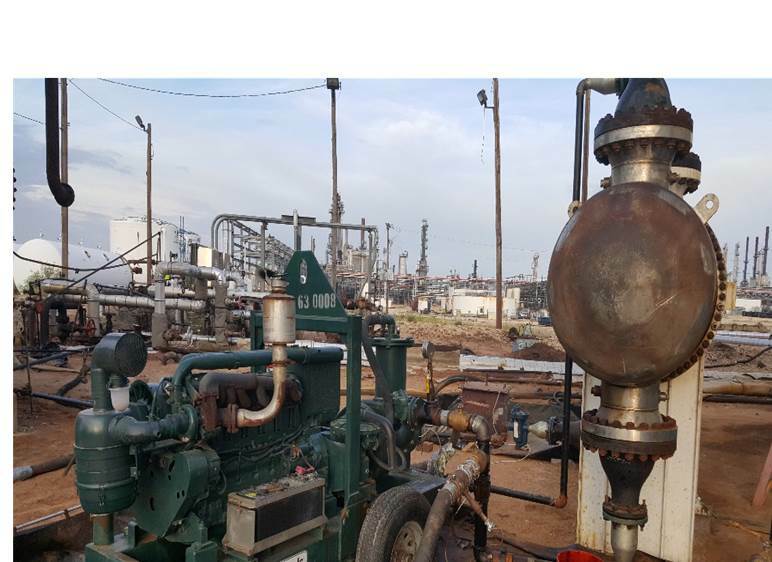 EISCO provided everything from chemical circulation equipment, temporary piping, hoses, pumps, procedures for implementation and support for the cleaning and pipe pigging services. EISCO performed three separate chemical circulations on the rail system piping and upon completion we vacuum removed remaining liquids from the 12” lines. Upon completion of the cleaning process EISCO inspected the pipe lines with video inspection to verify cleanliness. 12” swab pigs were then utilized and a nitrogen truck to push pigs through the 12” pipe lines and ensure final cleaning.